Kang Su-jin, chief of the Fire Tribe, has been plotting to become the ruler of the Kingdom of Kohka…and now he’s started an uprising by attacking King Su-won at Hiryuu Palace! 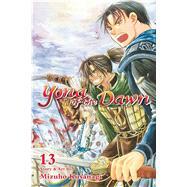 As the armies clash on the battlefield, will Yona and her friends join the fray? !